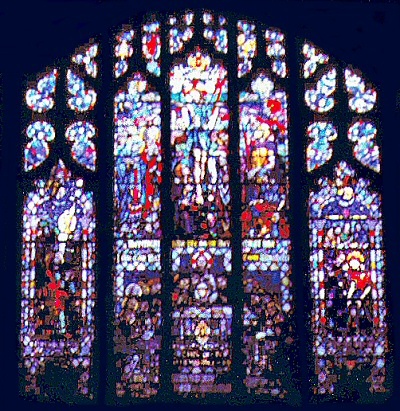 A beautiful stained glass window was installed in 1969 which effectively completed the Church building. 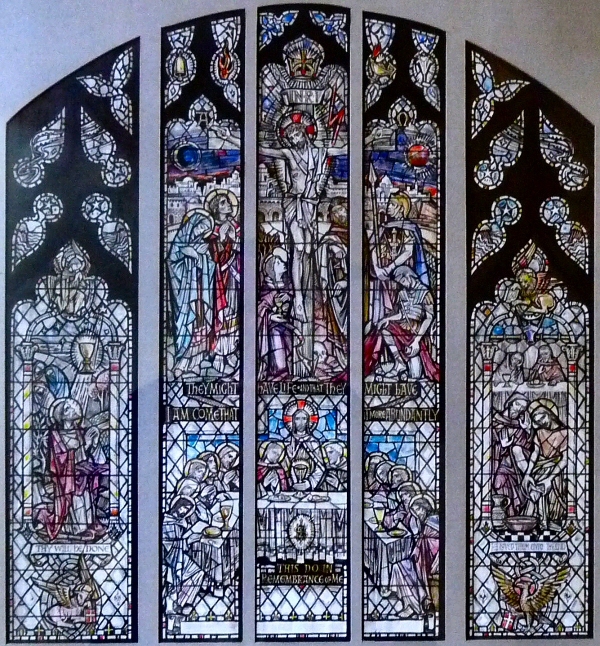 It cost £2,500 and had five sections designed by Mr. William Wilson from Edinburgh. A photograph from the time, below, shows the window in position, and can be compared with the view on the previous page. The Rev. George Graham joined St. John's in 1969 and served for five years. A new Teen Church was started for young people over 14 and soon both Junior and Senior sections were formed. By 1971, over 45 members took part in the many activities including participation in the Easter, Thanksgiving and Christmas services. Family services were held for the first time at a monthly interval. In 1969, the Woman's Guild celebrated their 40th birthday with a special tea and birthday cake. The following year the Presbyterial Council of the Woman's Guild held their annual communion service in St. John's. The Boys' Brigade continued with an annual camp. During the 1969 camp the boys helped a local Kinnesswood farmer with the potato harvest. The Young Wives and Mothers Group, newly formed in 1970, formed their own choir and organised activities with the Teen Church. They staged pantomimes, fashion shows and musicals. There was even a trip from Aberdour to Inchcolm island on two very frail boats! The Diamond Jubilee service for the Girl Guides was held in October 1970 with over 600 girls attending. There were now so many girls wishing to join that a waiting list was introduced. 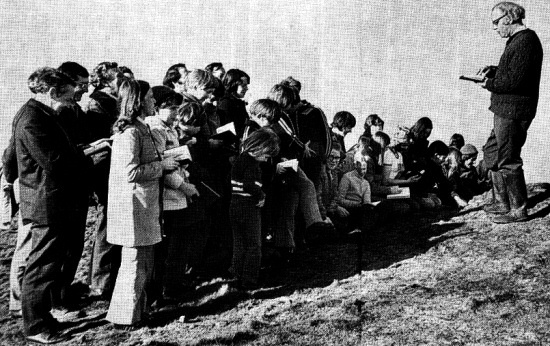 During this period, Easter was marked by a special climb up Largo Law (or sometimes Falkland Hill) early on the Sunday morning by members of the Teen Church. In 1972 the Junior Choir and Drama Group presented scenes from "Alice in Wonderland" which was seen by over 300 people. The first pre-school playgroup was introduced during 1972, an offshoot of the Young Wives and Mothers group. 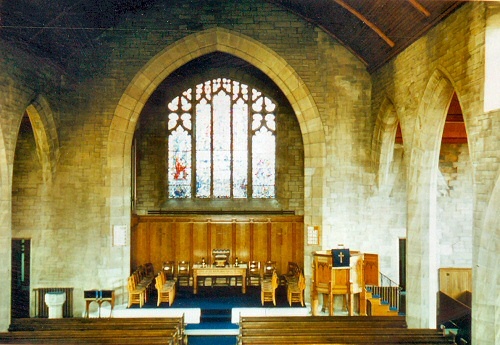 In 1973 a new short service was introduced which was held at 10.30am on Thursday mornings. A 15 minute service was followed by coffee in the hall. Also that year, an American choir visited the Church and a new Youth Fellowship was formed. The Men's Association held indoor bowling in the Church hall which continues to this day. 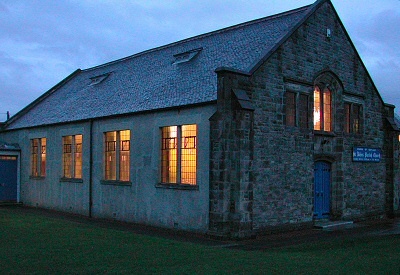 Early in 1974, Rev Graham decided to move to St Luke's, Paisley and left in August. During the search for a new minister, services were performed by the well loved Rev. John Millar and Rev. Dennis Warnock, the interim moderator.